Over the last week I have been shooting in Kansas City, Missouri – with director Anthony Garth. 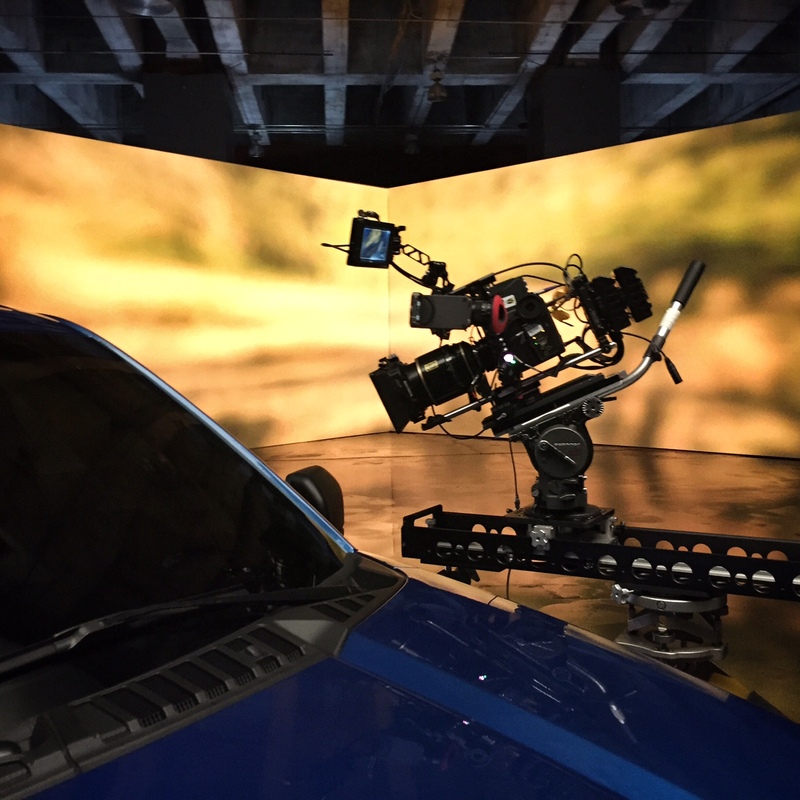 We shot a great spot for the new 2016 Ford F-150 pick up truck. We used an exhibition hall space there as our “studio”. It had a great industrial ceiling and floor which we featured in the hero shots of the truck. 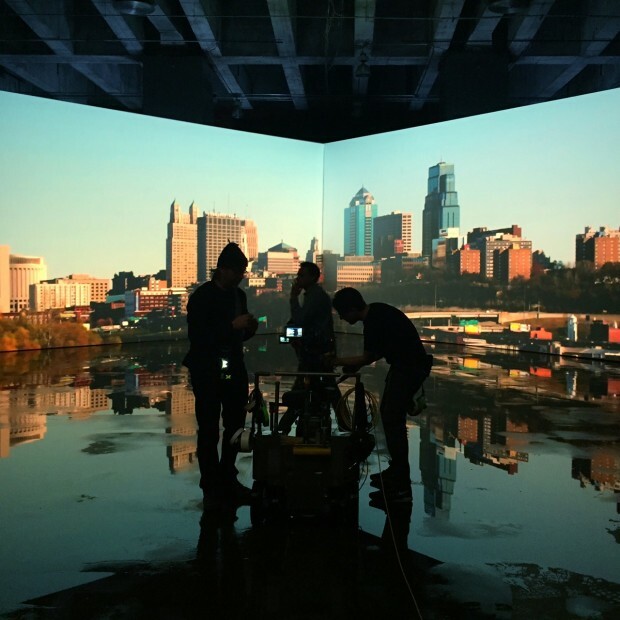 We had two 16’x28′ front projection screens built to create our main background – on which various clips of running footage and Kansas City skyline imagery was projected. For this we used a total of four Barco HDF W30 Flex projectors. We shot in 4K with the Arri Mini and Cooke S5/i lenses.